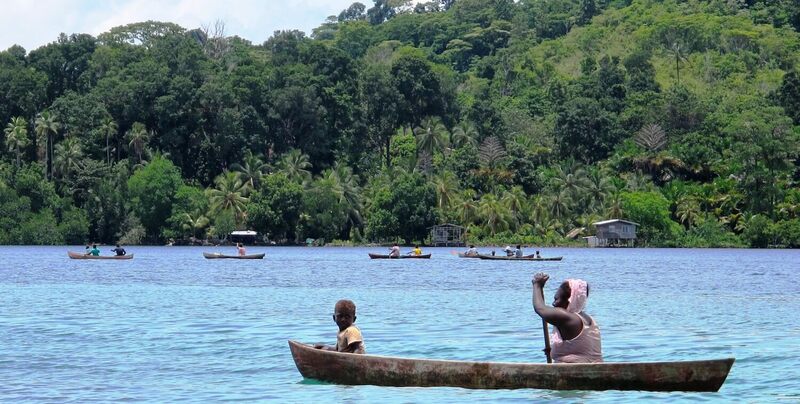 Batuna village, Marovo, Solomon Islands. Small grants: Read the detailed instructions, criteria and restrictions in the call for letters of inquiry (PDF - 321 KB). Prepare your application using the small-grant letter of inquiry form (Word - 61 KB). Email your completed form to cepfeastmelanesia@iucn.org on or before 11 April 2019. Questions can be sent to the CEPF regional implementation team at cepfeastmelanesia@iucn.org. Large grants: Read the detailed instructions, criteria and restrictions in the call for letters of inquiry (PDF - 321 KB). Submit your proposal through the ConservationGrants electronic portal on or before 11 April 2019. If you do not have a ConservationGrants account, you will need to register a new account. Questions regarding account creation or application process should be emailed to conservationgrants@conservation.org.